My name is Harlan Lau '73 and I'm the webmaster for the Encina High School alumni website. The Encina website contains homepages for each class and a directory with contact information for Encina alumni. This is a nonprofit website, hosted by an Encina alumni, with webmasters who are Encina alumni. I bought a copy of Frontpage 98 as reviews said this web publishing software was easy to use. My ISP was ATT Worldnet and they gave you a few megabytes of space for a personal website. The 73 reunion website came up on my ATT homepage in early 98. During the process of looking for 73 alumni, we began to accumulate lots of contact information about siblings and friends who were alumni and I decided to put this information online in the class directories. The Encina website was born! The 73 reunion committee sent out a reunion mailer pointing at the website and listing my email address. Soon I was corresponding with old classmates. Will Leaver '73/74 contacted me and informed me he had his own ISP up in Washington state. Will volunteered to host the Encina website at no charge. Back in 98, web hosting fees were much higher so Will's largess was what made the Encina website possible. I don't believe the Encina website would have gotten off the ground if it hadn't been for Will. Thanks Will ! The 73 reunion committee agreed to paid the $35 domain registration fee so Will and I started looking for a good URL. www.ehs.com was taken but both www.encinahs.com and www.encinahighschool.com were available. Even though it was longer, I picked www.encinahighschool.com as I thought it would be easy to remember. Obviously I was wrong as I'm forever getting inquiries from alumni who forgot the address of the website. Just go to Google.com and type in Encina High School and the website will be near the top of the search results. Once we had our own domain, the website started to grow by leaps and bounds. Mark Garcia '73/74 listed the website with various search engines. Via the net and word of month and email, alumni started to pour in and the class directories started to grow. I added homepages for each class and soon some classes even had their own webmasters. The next piece of the website was the Encina Update. More than 2200 alumni and faculty and parents currently subscribe to the Encina Update and I believe that some of you even read it <g>. Through it, we can reach a good cross section of past alumni and it's proven to be a successful medium for publicizing events like the alumni challenge and class reunions. At the same time the update moved to egroups, I also created the class groups or mailing lists on egroups in July of 1999. I initially envisioned these mailing lists as a way to distribute information about reunions, newly found classmates and bios, but for some classes, the lists have become online communities full of daily chit-chat. It's not everyone's cup of tea, but for those who enjoy it, the lists have proven to be quite popular. One alumni wrote that some days, looking forward to reading the latest class notes was the motivation for going to work <g>. Unfortunately for the website, Will Leaver '73/74 left his ISP Connect and the new management was not interested in hosting the website for free. You will remember that last May 2001, they shut down the website when they couldn't find any accounting paperwork. The website came back online, but they wanted $200+/month to host the Encina domain. I bargained them down to $115/month and agreed to keep the website at it's present size of 350mb while we investigated alternatives. I would like to thank all who have contributed towards the $1500 expense of hosting the website that year. The internet is not free. I was looking for a less expensive host for the website, with my first choice being a home on the server of an alumni who had an ISP or their own company, in order to minimize the costs and provide a stable, long-term home for the website. The reason for wanting our own hardware was to make the website portable. Then Ron Mintle '65 volunteered to host the website at his company YellowMagic.com. When Paul Bonderson '70 volunteered to pay for a webserver, we were all set! We bought a Dell webserver in November 2001 and Ron Mintle installed it at Yellow Magic. Once the Encina webserver was finally online, the costs of running the Encina website dropped dramatically. Actually, they will go back to what they were when Connect! hosted the site for free. But with the advantage that we have our own server hardware so that when Ron retires some day, we can simply move the server to another location. I would like to encourage alumni to continue to sponsor the Encina website as the costs have not gone to zero. Besides the annual domain registration fee and web publishing software like Dreamweaver, we must accumulate funds to periodically replace the webserver hardware. We are on our second Dell webserver. The Encina website is not a profitable concern. 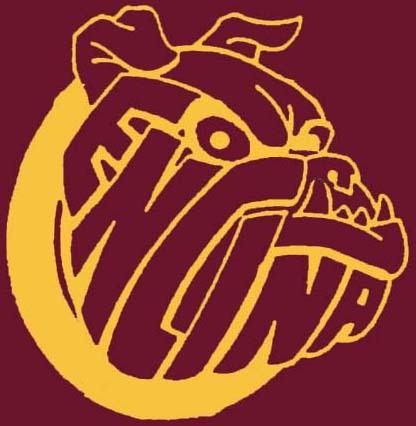 Over the past years, I've received many nice notes and thanks from alumni who appreciate the work which goes into the Encina website and the Updates. Alumni have rekindled old friendships and even old romances. They have found long lost friends and even lost siblings. For so many of us, high school was a very special time and the friendships we formed back then have endured for a lifetime. Many of us went to elementary and middle school and high school with the same friends and have found the connection the website provides to the past to be invaluable. I am glad to provide this service to you and serving as the Encina alumni webmaster has proven to be a very rewarding experience. 1/7/98. The whole thing starts with an email from Diane Schoenborn Kelly 73. On behalf of the Class of 1973 reunion committee, she asked if I would create a webpage for our 25th reunion to be held August 15, 1998. Diane cited the Class of 72 website that Kerry Shearer 72 put together as an example of what they wanted. Having never done a website before, I initially refused, then decided it might be fun. I was right!!! 2/5/98. The Encina Class of 1973's 25th reunion webpage came online. 4/15/98. The Encina Class Directory came online. 4/22/98. Will Leaver 73, owner of the ISP Connect! 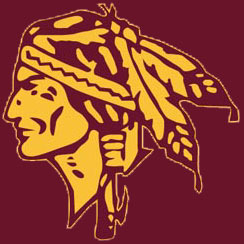 Corp, offers to host the Encina website and reserves the name www.encinahighschool.com . 4/29/98. The website moves to www.encinahighschool.com . 5/31/98. Class of 1988 came online, the second class to have a homepage. 6/8/98. Added forms to submit contact information. 6/25/98. Added homepages for each class and a form to submit bio information. 3/25/02. Encina website comes online running on Encina webserver hosted by Ron Mintle '65's company Yellow Magic and paid for by Paul Bonderson '70. 1/09. Encina webserver dying. Replaced by new Dell server paid for by Encina Booster Club from alumni challenge contributions. 3/09. Encina website converted from Frontpage (html) to Dreamweaver (CSS). 2/17. Move domain registration and DNS records from networksolutions to Amazon AWS. 6/17. Ron Mintle '65's company Yellow Magic, host of the Encina webserver, is sold. The Encina website moves to the Google Cloud Platform (GCP). Here are bios for our white knights Ron Mintle '65 and Paul Bonderson '70. During your search for a new yellow pages system, there are many important things to consider. In addition to the program itself, you need to take a close look at the company that stands behind the program. At Yellow Magic Incorporated, we take our business seriously. The number of experienced and dedicated Yellow Magic Incorporated employees continues to grow with our customer base, ensuring our commitment to quality, service, and customer satisfaction. President and CEO, Ronald Gale Mintle, our company's founder, began his career designing and implementing directory publishing systems over 28 years ago. Mr. Mintle was a vital part of the programming team that developed one of the industry's first yellow pages systems. While he was developing yellow pages systems and other directory applications, Mr. Mintle simultaneously developed typesetting and management systems for the check printing, newspaper, and magazine industries. He has devoted almost his entire working life to the directory publishing field-programming, designing, developing, and marketing the production tools that publishers need. Over the years, Mr. Mintle has surrounded himself with a strong team of associates all equally dedicated to the directory publishing industry. The development of Yellow Magic, the fifth in a series of yellow pages systems designed by Mr. Mintle and his associates, began in 1989. (The previous systems were all built as custom systems for individual publishers-one in Europe, one in Asia, and two in the US.) The goal of Yellow Magic's design team was to create the ideal publishing system. During the system's development, with this goal in mind, the design team went straight to the source-the yellow pages publishers-who were surveyed regarding their needs for the ideal system. The development team used the responses to their queries to create a system truly designed for this industry. Yellow Magic was first introduced at the ANADP Show in April 1991. It has continued to evolve since then, incorporating into the programs the needs and requests of both prospective and new customers, all of whom are established and successful publishers. From 1976 to 1983, Bonderson served as Manager of Peripheral Controller Development, Integrated Systems Operation for Intel Corporation. In this role, he was responsible for the definition, planning and development of Multibus I and Multibus II peripheral controllers, the iSBC-215B Winchester controller and the iSBC-216? " tape drive controller. During his tenure at Intel, Bonderson also served in several other engineering roles in Solid State Disk and mainframe processor memory development.